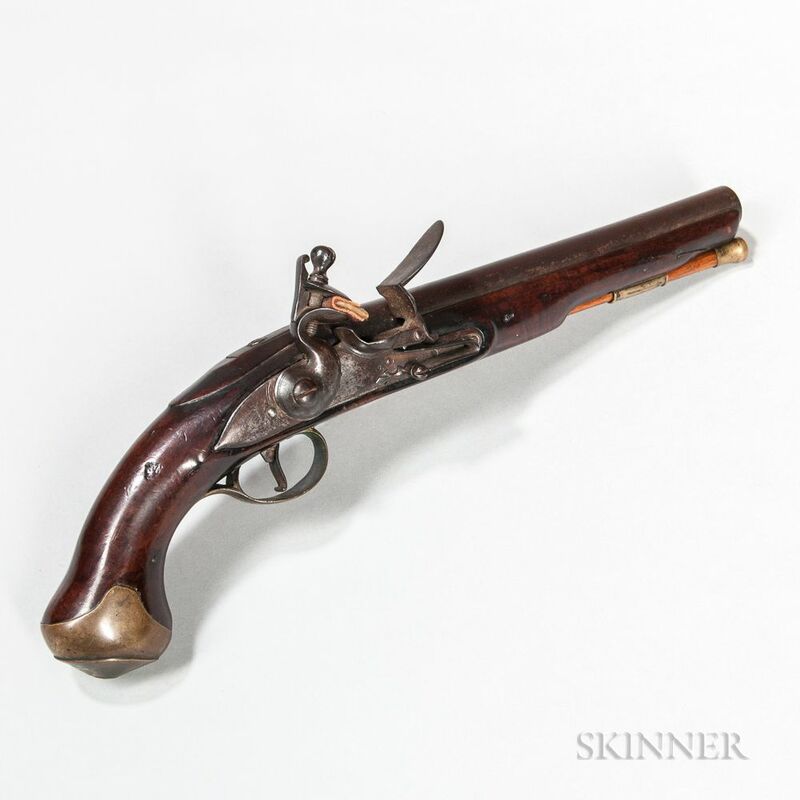 British Pattern 1759 Light Dragoon Pistol, .68 caliber, walnut stock with a storekeeper's stamp on the grip and marked behind the side plate "SS," brass fittings, lock marked "TOWER" with a crown over "GR" and an ordnance stamp, steel barrel, and a wooden ramrod, barrel lg. 9, overall lg. 15 in. Note: This pistol was found behind a wall of a house in Nyack, New York, in the 1980s. 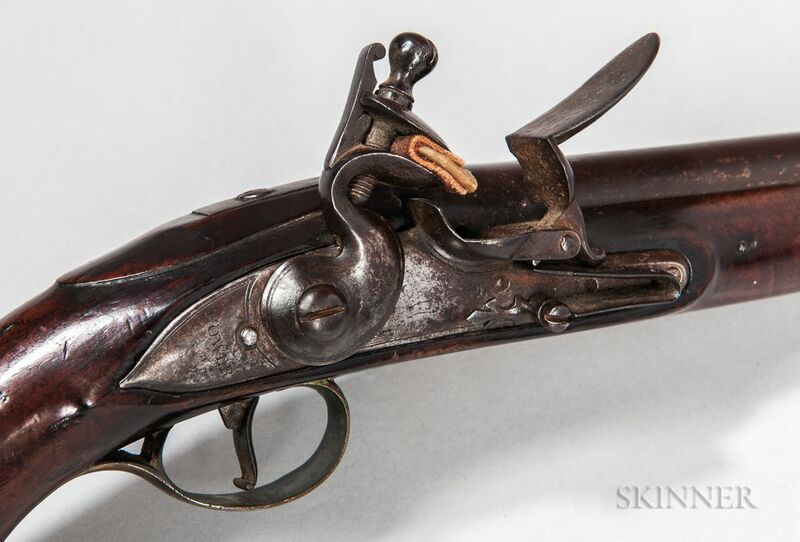 Some dings and nicks in the stock with a 2" split on the forestock near the front barrel pin, steel is not polished and the lock functions properly.